Last night I finally ventured to my local multiplex to watch a little film called “The Da Vinci Code”. After two-and-a-half hours, a bad headache (fault of the seating, not the film) and £4.20 poorer, I thought it was about time to gather some thoughts about it, and the book behind it. At some point in the film, Robert Langdon (Tom Hanks) accuses Graal “expert” Sir Leigh Teabing (Sir Ian McKellen) of “twisting facts to fit your theory”. In the glorious abundance of controversy that Dan Brown’s titular novel has generated, I personally can’t find more fitting words to describe the whole thing. But as soon as anyone tries to speak for or against The Code, they have to overcome the first wave of arguments that screams: “It’s fiction, not fact.” Answer: Wrong. It’s BAD fiction and MISPLACED fact. And off we go. The film, to a degree, is faithful to the novel: Paper-thin characters, sloppy research, impossible plot and nice scenery. Not having much to go on from the source material, the performances are mostly ornamental (with the exception of McKellen and Paul Bettany) and if you haven’t memorised the book, chances are you’ll miss most of the scholarly references that are thrown around so fast that Da Vinci himself would have to ask for a break. But let me first tell you the story, and we can take it from there. Sit back, relax, and witness fiction stranger than fact. The Da Vinci Code theory goes that Jesus was a lovely, wonderful, charismatic and inspiring man and nothing more. No Son of God, promised Messiah or any of that ‘regular’ Christian stuff. In fact, he was so human that He also married Mary Magdalene and left her pregnant by the time he was crucified. Fearing persecution, some of Jesus’s followers (among them Joseph of Arimathea) smuggled Mary all the way to France, where she gave birth to a little girl that she named Sarah. Now, of course, Jesus’s bloodline had to be protected – and what best way to do that than to marry her off to a noble of the time? This kind of intermarrying continued up to the fifth century AD, and resulted in the rise of the frankish Merovingian dynasty; kings of France who were now blood-related to Christ Himself. the world to find out about this. It would ruin the divinity of Christ and turn Him into a mere man. What’s wrong with that, you say? Well, if Jesus was fully man but not fully God as well (as the Bible teaches), then the Christian faith as we know it would be annulled. Further, Jesus’s de-deification (only man, not God) would cause the Catholic Church to lose its sway over the ignorant masses of Europe. The “Christian” empire would crumble. And if we’ve learned anything from history, it’s that those who have power will do anything to keep it. Especially killing. the Catholic Church understood that if the Magdalene story went public, they might not be able to oppress women as they were so fond of doing. In fact, the tables might even turn. Back to the story. 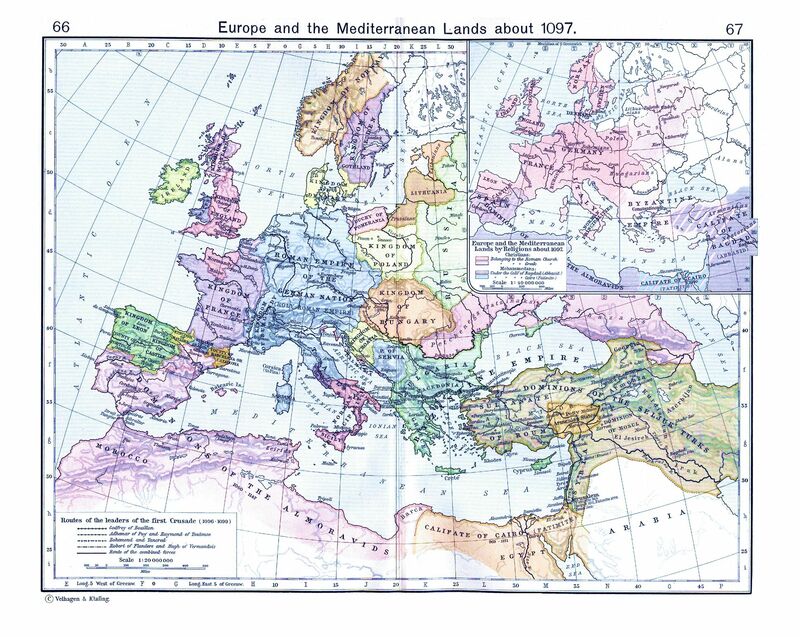 Sometime in 1095 AD, Pope Urbanus II called up the nobles of France and said “Dudes, where’s Jerusalem? Deus vult!” The result was arguably the first act of Christian terrorism, also known as the First Crusade (I said “arguably”. Quiet.). There was bloodshed, battles, sieges, and “Return of the King” special effects. A year later, when it was all over (and not much Jerusalem left to take back), someone had to stick around and make sure that the Christian pilgrims to the Holy Land would be protected from raiding Muslim forces. So, two French knights – Huges de Payens and Godfrey de St Omer – created a band of (originally) nine knights known as the Pauperes Commilitones Christi e Templique Solomonici (huh? what’s that?) or the Knights Templar for short. Now what do these guys have to do with our tale? Well, the theory goes that the whole “Serve and protect the pilgrims” thing was just a cover. In reality, the Templars were on a scavenger hunt to find…….. The Holy Grail; the cup that Jesus drank from during the Last Supper. This is where things get really twisted. The Graal was always thought to be a chalice, a word that described a soup bowl at the time. 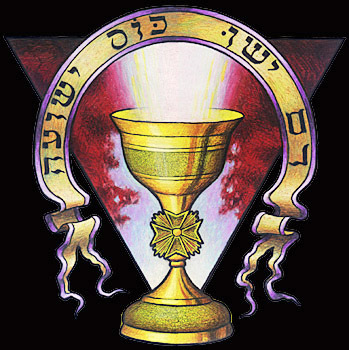 But the theory tells us that the Holy Chalice was nothing else than Mary Magdalene, Jesus’s beloved wife (the chalice symbolising the female womb and the French San Graal [= Holy Grail] really meaning Sang Raal [= Royal Blood]). Evidence? Suddenly the Templars left Jerusalem for reasons unknown, went straight back to Rome, and got filthy rich under the auspices of the Catholic Church. Blackmail? Lottery? Found the Pope’s lost wallet? Who knows… but they did invent the first ATM. Seriously. Okay, let’s wrap it up. According to the theory, the Templars had some documents proving the Magdalene story, and usedthem to blackmail the Church. 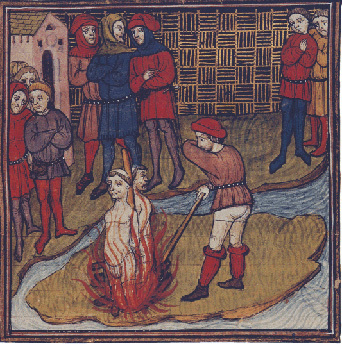 But when the Church had had enough of them, it labelled them Satanists (not sure why they hadn’t thought of that earlier) and had them all thrown to the fire. Heck, since the getting was good, they even threw in some Cathars too. And then they went on to hunt down the remaining members of Jesus’s bloodline (remember them?). But, like in all good stories, some Templars escaped the Catholic persecution, and formed what became known as the Sionis Prioratus, or the Priory of Sion, a super-secret group sworn to protect the Jesus bloodline from the talons of the Catholic Church. What does Da Vinci have to do with this? 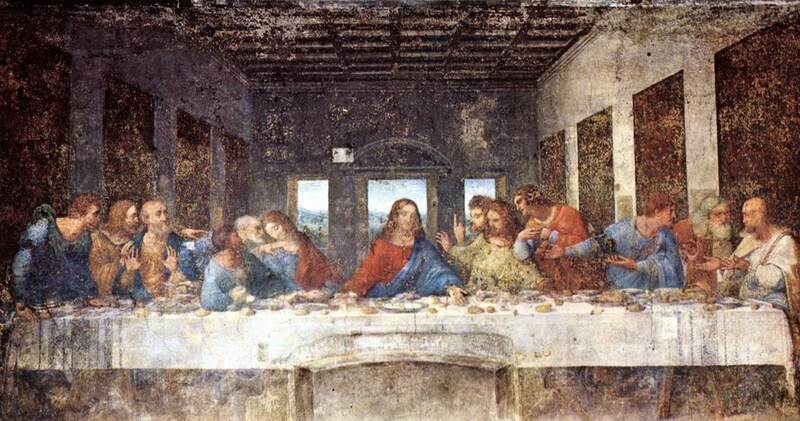 Well, according to Mr Brown, Leonardo Da Vinci was, in his time, the leader (“Grand Master”) of the Priory, and left us a bunch of Magdalene hints in his paintings. And this is where the “Da Vinci Code” kicks in: The last four members of the Priory are killed, and the race begins to uncover their hidden secret… queue lots of codes, wide-eyes, shock, unbelief and an albino killer Opus Dei monk (who, in the film, looks disturbingly like the evil Emperor from Star Wars). 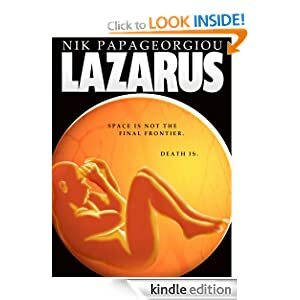 When I read the novel, I honestly couldn’t understand what all the fuss was about. The theory is not original; we’ve been hearing this tripe since the 1st century, only back then it was the Gnostics with Marcion (the Bible-snipper) at the helm and the writing was slightly better. Don’t get me wrong – the whole Knights Templar, Sionis Prioratus, (huh? what’s that? ), Magdalene and Merovingian legend has some historical value, but unfortunately for Mr Brown, it doesn’t stand the test of historical research, and I hope he knows it. Actually, I doubt he knows it, because at the beginning of his novel he claims that all historical notes are accurate, and some of them are in-your-face not. ← Can I help you die?